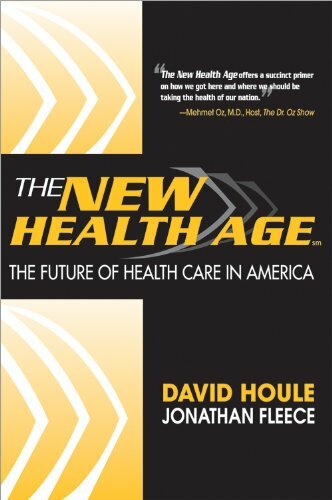 Houle is consistently ranked as one of the top futurists and futurist keynote speakers on the major search engines and in the world today. In the last seven years he has delivered 500+ keynotes and presentations on six continents and twelve countries. He is often called “the CEOs’ Futurist” having spoken to or advised 3,500+ CEOs and business owners in the past seven years. Houle is Futurist in Residence and Guest Lecturer at the Ringling College of Art + Design.On a recent trip to China, he guest lectured at Beijing University, China’s top University and at SINOPEC, China’s largest company and the second largest company in the world. He is Honorary President and Futurist of the Future Business School of China. Gail Davis: Today's guest on GDA Podcast is David Houle. David is a futurist, thinker, and speaker. Houle spent more than 20 years in media and entertainment. He has worked at NBC, CBS [00:01:00] and was a part of the senior executive team that created and launched MTV, Nickelodeon, VH1, and CNN Headline News. We often refer to David as the CEO's futurist. He has spoken to or advised 3,500 plus CEO's and business owners. He is the author or coauthor of seven books. He is the futurist in residence and guest lecturer at the Ringling College of Arts and Design, [00:01:30] an honorary president and futurist of the future business school of China. I want to welcome to today's GDA Podcast David Houle. Kyle Davis: Hey David, how are you? David Houle: Thank you for having me. It's a pleasure to be here. Kyle Davis: Well it's a pleasure to have you on. So I guess what I'm pretty interested in and what we probably should talk about first is how do you get the idea for MTV and all the other ... Nickelodeon, that's all the stuff I grew up on. [00:02:00] What's the background on that? David Houle: Well I didn't come up with the idea. It's actually part of the answer I give as to how I became a futurist. All my life I've done things that people said wouldn't work. Like I was the number one sales guy in Chicago for CBS Television and I literally took a 50% pay cut to go join, at that time, 30 people who were trying to figure out how to launch MTV. And the way I thought was, "Okay, so that was 1980 and the two greatest [00:02:30] forces of pop culture for the part of 20 years were rock and roll and television. How could this miss?" But cable's only 10% of the country, so one cable's not gonna work. Video music, what are you talking about? And then in six months I was also VP of ad sales for CNN and CNN Headline news; made a lot of sales calls with Ted Turner. And a 24 hour news network? That'll never happen. Right? So it's not like I came up with the ideas, I just always joined [00:03:00] things that I saw would be the next big thing. Like in the 90's, I was managing director of a company in the mid to late 90's that was creating online courses. Again, one of those, "Oh that'll never happen." So it's not so much that I have come up with the ideas that they've resonated me at an early stage and I've taken the risk to go with what I saw would be the future. Kyle Davis: When you're looking at these projects that you're gonna join that you believe are the next big thing, what do they have in common? [00:03:30] What are you looking for that pulls at your passion strings and allows you to say, "Hey this might hit?" 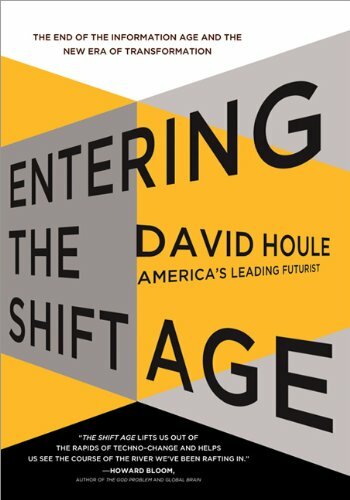 David Houle: Well I think it's more who I am in the sense that as an only child of two Phi Beta Kappa PhD's, I was always more adult oriented than most people and was always outward bound and was always looking at the world and was always interested in what was the next thing and always seemed to join things at early stages. So I developed a, for lack [00:04:00] of a better word, a sense, developed, intellectual intuition. I know that's an oxymoron, but of what is gonna be and what's next. And it served me well. I jokingly say it took me long time to figure out my highest value to the world, which is what I do now. I just kept being part of initial successes that then became big brands. And I realized, [00:04:30] "Okay, I can give this developed sense of correctness as to what's going to happen, covert it into a speaking and writing career, and really create value for anybody that reads or listens to me." Kyle Davis: That's interesting. So like when you're thinking about what is going to be and like what's next today or throughout your time I guess as a futurist, what are some things that you're focused [00:05:00] on and that you're working on kind of moving forward? Kyle Davis: Just generally speaking and then also moving forward? David Houle: Well generally, people always come up and they think that I'm some profound, research oriented intellectual and I end up saying literally this is true. I'm the most superficial intellectual grazer you'd ever want to meet. I mean I read lots of books and never read all of them. I have lots ... I have 250, 300 inbound [00:05:30] news letters every week that I scan, don't necessarily read. So it's just like speaking to lots of organizations, whether it's oil and gas, and then it's life insurance, and then it's education and health care. So I'm hopping around on all these verticals of people who are absorbed into what they are doing. So I look broadly. That's the first thing I do. The second thing I do is that I'm a great student of history and of futurists and of trends. So I look back, whether it's hundreds [00:06:00] of years, or decades, or years to see what the dominant forces are to this moment; and then I look at the present and then see what those archs would be going into the future. So when I first started out about 11, 12 years ago as a futurist, somebody said, "So what forecasts have you made that are accurate?" I was like, "Oh, duh. I got to make forecasts for people to be of value." I realized that the value in the market place is five to ten years [00:06:30] out. That's what companies can't look beyond; the speed of change is so much that looking beyond that comes speculation. We can all talk about the 2040's, but my guess and your guess. So I trained myself to focus on what would happen. So for example ... And all my forecasts are on my website, DavidHoule.com. I'm the only futurist that I know of that puts up the forecasts that I've made and when I said them. And so I got really lucky in the beginning [00:07:00] on oil. I said in 2006 when oil's 50 dollars a barrel, it'll be 125 and nobody would believe me. It went to 147. So the things I've been successful about or that I was successful about in the past, like media where I worked, I have a sense of correctness and been very right. There's things that I don't know and so I stay away from them. But I still read print newspapers and magazines because I'll see things that won't be served up online for the general consumption. Data points [00:07:30] that ... Another way of saying what I do is I connect dots and people don't see the dots and I see the dots and I connect them. Kyle Davis: So what are the dots that you're connecting today? What are some things that ... Some trends that you see coming just over the horizon? David Houle: Well absolutely. And the preface I want to make, because it goes back to Gail Davis and associates, who's one of the first speakers bureaus that booked me, was back in 2008. My career literally took off when Lehman [00:08:00] Brothers went down, because what happened was is that literally companies and associations call me up and say, "We're getting rid of these motivational speakers. We need to find somebody who can tell us what the hell is going on. Let's go find a futurist." And that has happened again with the uncertainty of Brexit and Trump and everything that's going on in the world. So in the last three months, a lot of people have been reaching out to me. So I have taken like the last three months and wrote tested a speech and a presentation, [00:08:30] reading and researching it. And so the high level presentation that I make, I call Shift Transformation 2017 to 2037. And I completely believe, and this is a big statement to make, that future historians will look back on these next 20 years as a historical trends as significant as the beginning of the Industrial Age or the Renaissance. Reality, as most readers or audience members [00:09:00] think of, is what they know. Reality is going to be changed for humanity more in the next 20 years than any other 20 or 50 year period in history. So that is my general focus. And I can forward you some calms that I've written relative to that. I have real clarity on that. Kyle Davis: And what are some of those ... Like the trend lines that you're predicting that are kind of coming down the pipeline that maybe people don't necessarily [00:09:30] have their eye on, generally speaking? Kyle Davis: Could you repeat that real quick? It cut out for a second. David Houle: One climate change and what I call intelligence, which is artificial intelligence, [00:10:00] machine learning. The internet of things, big data and the breakthroughs in neuro science are the two things that are gonna shape humanity more than anything else in the next 20 years. The early research in artificial intelligence shows that, say, 50% of the jobs or the occupations that now exist will not exist in 15 years. And so my mission is to get people to understand this, [00:10:30] to not be scared of it, and start thinking about it, because it will happen. And the United States of America and countries around the world can not afford the social disruption that will occur if we're not looking into what is rushing at us. So intelligence, climate change, the whole change from a fossil fuel, what I call the carbon combustion complex, into renewable energy; so for the first time [00:11:00] in since the Industrial Revolution began, we're gonna move to an economy where two things are happening. One, energy will move towards being free and prices will ever come down so there will be a low margin economy. So a lot of trends emerging that if we can think about collectively, intelligently as they are happening, I think we can move into a whole new almost evolutionary step of humanity. And if we don't think about them, we'll be in reactive, [00:11:30] catastrophic conflict. Gail Davis: David, I believe you've started a global non-profit to face climate change. Can you talk a little bit about that? David Houle: Yeah, sure. I've written seven books, four with co authors. I'm a general futurist. I took somebody from healthcare, did a book on healthcare and then education, then branding and marketing. And so I joined with the head of environmental studies at Ringling College [inaudible 00:11:58] the futures in residence. [00:12:00] And I started guest lecturing with Tim and I've been involved in environment and alternative energy all my life and Tim, simply put, was the smartest guy I've ever met about the interconnectedness of everything on the planet. And it took two years to write the book, which was difficult for me, but it was the first time I'd ever written a book with an academic. So it took long. What happened to me, Gail, was in that two year period, the forecast in the first year from what was supposed to be in 2050, made in [00:12:30] 1990, were happening in 2014. And in early 2015, the forecast of 2050 of what would be happening in the atmosphere was happening then. And so in that two year period, I realized that it would be a dereliction of my professional duty as a futurist to not talk about climate change. If there's a futurist who does not talk about climate change, they are not talking about the single gravest, existential threat to society. But [00:13:00] the back on I want to give on why it's called [inaudible 00:13:03] Earth is very simple. And Kyle this is before you were born, but in the late 60's, up to 1968, no human had ever seen a picture of the Earth from space until Anders took a picture from Apollo. 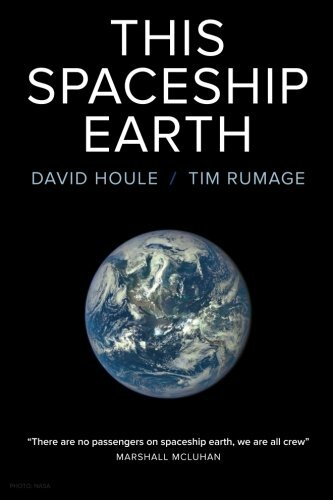 And then Buckminster Fuller wrote a book in 1968 called Operating Manual for Spaceship Earth and he said, "If we don't create an operating manual for Spaceship Earth, [00:13:30] we will have problems." Earth Day a year later comes along in 1970, my other hero, Marshall McLuhan says, "There are no passengers on Spaceship Earth. We are all crew." And that went into me as a lightening bolt. I'll never forget that line at the moment. And I was reading a lot of science fiction. And then Fuller came out with a book two years later called Utopia or Oblivion. And he said in several decades, writing in 1970, [00:14:00] humanity will approach a fork in the road. Utopia or oblivion? And the two years it took to write the book, I realized that climate change could be oblivion if we don't face it. So we wrote the book, but it wasn't enough. So I basically took most of last year off and started a global non-profit based here in Sarasota, Florida. Florida is the number one state at risk for climate change. And created this non-profit, ThisSpaceshipEarth.org [00:14:30] to create crew consciousness on the planet. I know we don't have time to go into the depth of that, but ThisSpaceshipEarth.org talks about it and it's taken off. People who have read that book, and it's only 125 pages, I'll never write a book longer than 125 pages again because people hate reading it. And the website we do, people say to me, "This is the first time I get climate change. This is the first [00:15:00] time I get the connections between what I do and the climate changing." And the good news is, and I just met with the congressman here in Florida who is leads the republican delegation for Florida, and to educate him on this. And the statistics we brought into the room, 70% of Americans believe that climate change is real and only 6.7% of Americans believe that it's a hoax. And so I predict to [00:15:30] you right now on May 1, of 2017, that by the end of 2018, a fundamental shift in consciousness will occur that will make us realize that this is something that we all have to collectively face. And by becoming crew, you can scale up individual actions, which is always the question. People always say, "Is what I'm doing gonna make a difference?" Well if there's 50 million people and my goal is to get a billion crew members on the planet. [00:16:00] So I can go on forever about that, but that's what that is. A long winded answer to your question Gail. Kyle Davis: I know kind of what the impact can be to Florida, but for the listeners who don't necessarily have an understanding ... When you made the comment about Florida being the most at risk state, could you explain what would happen if there is no deviation from the current path that we're on? David Houle: Yeah, well the thing that startled [00:16:30] me was when I asked Tim, my coauthor when we were writing, I said, "What would happen if carbon emissions went down to zero today?" He said, "There'd still be 30 or 40 years of warming. It's already built into the system." So for example, sea level rise is already gonna happen, at least until 2040, 2050. And the range of sea level rise, and we did a video on this with people holding hands in the number one beach in the United States, Siesta Beach here in Sarasota, about showing where high tide is in 2016, high tide will be in 2030 [00:17:00] and high tide will be in 2040. And in 2030, an eight inch sea level rise means 300 feet of incursion on the beach. And two to four feet of sea level rise means that there will be basically no beaches in Florida. So what that means is, okay, that's [inaudible 00:17:21] I need to think about it. But when does it become ... The thing that got me on the front page of the newspaper here is when I spoke to the realtor's association, and I said, [00:17:30] "When does it become fraud to sell beach front property?" Because nobody expects to buy a house that depreciates in value. So if think of the most valuable real estate in Florida, and mostly in the world, it is on beach front or coastline. So that's gonna be most at risk and if it becomes pretty clear that it's at risk, then there'll be a complete supply and no demand. So there will be a collapse [00:18:00] of hundreds of billions of dollars of real estate value happening over the next 20 years for people who either A, don't sell and lose everything, or who have to sell at a loss. So the quote is about the real estate house being underwater, being less than the value of the mortgage. So houses are going to be "Under water" before they're actually under water. So people are already coming to me and going, "When should I sell?" And my first answer is, "What's your elevation [00:18:30] above sea level and where are you?" Because if there's not a beach, then the value of owning beach front property is non existent. Right? So that's all gonna start happening. You won't be able to get a 30 year mortgage for beach front property in five years. It'll probably be ten years and then you'll have to disclose to the buyer why. And the answer is, well, there won't be any collateral for the loan in ten years. So that's why Florida is at the greatest risk. We have 5,000 miles of shoreline. Kyle Davis: [00:19:00] Yeah I think ... I wanted to say that the statistic that I saw is if sea levels rise I think three feet, something like 70% of Florida will be uninhabitable because the waters just gonna move in. So then all you have is central Florida and then the north Florida. David Houle: Oh yeah. Right. And New Orleans will be ... I talk about a thing called strategic retreat. How do we plan for the fact that there will be ... Where are the four million people who live in Miami gonna go? Where are the 35 million people of Bangladesh gonna go [00:19:30] that are one to two foot above sea level? Right? The island's nations will be gone that don't have mountains. And I hate to be Armageddon, that's already baked into the system. So what sea level rise is really gonna be about is the wake up call that to mobilize humanity. Climate change is about saving ourselves from ourselves. And the good news is that the energy revolution is here and ready, we just [00:20:00] need to embrace it. Unfortunately, people in power in Washington are going in the absolute wrong direction. But the good news is that it's making everybody feel responsible for taking action now, whereas in the past, "Oh well Obama will take care of it." That's not the case now. So everywhere around the country, all these environmental organizations are having massively new people, greater numbers of people in attendance and we have to do it ourselves. Kyle Davis: Yeah you mentioned like islands in the Pacific that are island nation. I forget what the country is, I believe it starts [00:20:30] with an M, but they're already going and starting to buy real estate throughout the world to relocate their people because it's only a matter ... Like they've already lost something like 1,000 islands out of the 3,000 that they have. David Houle: Right. It's in the Indian Ocean, I'm blanking on a name, and they're buying land in Africa. Exactly right. Kyle Davis: All of lower Manhattan gone up until you hit I think the elevation starts to increase in Manhattan on 58th Street. Right at [inaudible 00:20:57] Park. David Houle: I think 42nd and South [00:21:00] is pretty much it. Then again, I don't want to sound apocalyptic, but the point is people who have read science fiction like Dune or things like that. How you crew, how you live on a planet ... The average American is responsible for 16 tons of CO2 into the atmosphere every year. The average American uses 150 gallons of water a day. So it takes 16 swimming pools to water a lawn here in Sarasota. So [inaudible 00:21:28] lose the lawn and things like that. [00:21:30] But yeah. But that's just sea level. The other stuff is 150 species a day becoming extinct. So I'm a futurist and Tim Rumage is a planetary ethicist and we founded the only climate change organization that is founded by a futurist and a planetary ethicist, because we really have to face the ethics of ourselves and our relationship to the planet and everything else that's alive. Kyle Davis: So let's switch gears real quick, I know the other thing that's on your radar is [00:22:00] intelligence. And one of the things that we've talked a lot about on the Podcast is AI, or artificial intelligence. Where do you see kind of machine learning and AI being most impactful or what are the short term trends? The two to three year outlook versus the five to ten? David Houle: Yeah, the first thing to say is that I really got tired of the superficial conversation [00:22:30] around artificial intelligence, which is, "Is it good? Is it bad? Will we have robotic overlords, you know the Terminator 3, Dystopia, the Hollywood thing? And it's just dumb conversation. Whenever there's a duality, you're missing some part of the reality. David Houle: So a year ago, I looked up the definition of intelligence and nowhere in there is the word human. So by calling it artificial, we're kind of denigrating it and putting it in a place. [00:23:00] So it is intelligence. Dolphins have intelligence. Machines have intelligence. And what really triggered my interest Kyle, was about a year ago, IBM, Big Blue, [inaudible 00:23:14] in 1997 and Grand Masters think 36 to 38 moves out. Then in 2011 it beat the two best people in Jeopardy, which showed a lot of contextual knowledge, right? Because [00:23:30] what is the question to the answer, across a wide range of subjects, and it killed the two best humans who've ever played. But what got my attention was a year ago when the greatest Go master, which is a Chinese board game, came up against Google's Alpha Go, which is their artificial intelligence. By the way, in 2002, Larry Page, one of the co-founders of Google was asked a question about what it was like to run a search [00:24:00] company. And in 2002 he stopped the interview and he said, "We're not a search company, we're an artificial intelligence company." So what happened with this Go thing, was that, as Google said, the number of potential moves in the Go game is equal to the number of atoms in the universe. It's infinite. And so in order to win, you have to have intuition. So Google programmed a random algorithm in the created intuition and it beat the greatest Go master four to one [00:24:30] in such a way. I only saw it after the fact, you know I didn't see any of the video. But there was this big room and literally hundreds of millions of Go people were watching and said no one had ever beaten this guy. Right? Then in January of this year, I think it was Big Watson, now called Big Blue from IBM played 20 days of poker in Las Vegas. Hold em fold em or whatever it is, I don't know card games. You know where there's bluffing involved, [00:25:00] and it won the most money, it beat them all, and to a person, the poker players said that they it was real clear that the machine was learning as it was competing over 20 days. So the machine learning is basically the definition of human learning. It learns by doing things. Another way, let me say this differently. Right at the stage ... We've always invented technology at the time we've needed it. Humanity has. It was only 170 years ago that the telegraph was invented, which means that for 1% of the time that humans have been on this planet, we've been able to communicate without being face to face. And then that led to the car and then the airplane so we could travel [00:26:30] distances. So what we have here is we have an explosion of data. We're going from 1.8 zeta bites, which is a billion gigabites created by humanity in 2010, to 12,000 in 2040. So right at the time that there's this explosion of big data, we're inventing and teaching and aiding an intelligence that can process data that our human brain no longer can. [00:27:00] So it's kind of like we're offloading a responsibility that we used to handle because there wasn't as much information as there is now, to artificial intelligence driven by machine data connected into the internet of things and big data so that we can evolve as humans. In other words, theoretically, in 20 to 30 years, the first question is, "So what's your name?" When you meet somebody. The next question is, "So what do you do?" And there may be a large part of the population, [00:27:30] starting in about 15 years, that won't have to work for lots of reasons. It's hard to explain that in the current situation, but if lots of things move forward, the ever lower cost economy, free energy, subsidized living, the universal income that's being talked about now, then of course ... So I think it's coming up right at the right time that if we manage it correctly, we can [00:28:00] have an evolutionary step. Technology has created and changed our consciousness. So just the next 20 years will be like the last 50 years. David Houle: It was move 37 in the third game. Kyle Davis: Right. It was like they've never ... It shocked everybody. And then the next kind of thing that I have that's on my mind is I have a buddy of mine, who, depending on who you talk to, he's either a top 25 or top five poker player in the world; he's phenomenal. And I've seen his set up at his house. He used to play with six [00:29:00] monitors playing two games on each monitor, so 12 games at a time. And he's an incredibly brilliant person. He no longer plays online because of the absolute use of AI already being used by other players to assist in their online play. As such, he's pulled out and invested in about three or four different AI companies because he can. So that's what he's doing. David Houle: Well there you have [00:29:30] it. And he doesn't feel threatened, he sees opportunity; and I think that's the nugget of what you just described. Kyle Davis: Yeah, I mean just to kind of put an end cap on his threat, how he feels threatened if he does or doesn't, the only way he'll play a game now is face to face, in a room of people, and making sure that they've been stripped of all electronic devices. David Houle: Well that's exactly right. I keep getting asked as a futurist, "What career should my child go into in the future?" You know, [00:30:00] kind of questions like that. Or, "I'm worried about my grandchildren with AI." And ultimately, AI will be able to do most everything, but it's human context, human emotion, and human insight that I don't know that it can have, right? So I always say to learn to be creative, to learn to be prepared for change, to embrace change as a psychological profile [00:30:30] as you go through education. When I graduated from college, graduates were being told, "You'll have two or three jobs in your lifetime," because our parents had one. Now in college, kids are graduating and being told, "You're gonna have three to five careers, two or three of which aren't yet invented." Artificial intelligence therefor changes everything. It changes education and how we do it, it changes healthcare; it's been proven that artificial intelligence is better at diagnosis than doctors. [00:31:00] And we always used to think, we being the upper 10% of society, well it's gonna be the blue collar jobs. They're gonna go away. Three of the top five professions that will go away for AI predictably are attorneys, accountants, and doctors, because all of those are based on data, precedence, and trial and error. Kyle Davis: So there's actually something very funny, my mom will laugh at this, but I always keep ... I've been asked this and I get [00:31:30] asked this a lot. "Why don't you go to law school?" Well can I get into a top 25 program? The answer is yes. Would I graduate the top 10% of my class? No, I don't want to work that hard. The whole thing is being automated. Just look at Legal Zoom. That's evolution one, wait until evolution two, three, and four. Go ahead Mom. Gail Davis: Well I just wanted to circle back to something that you mentioned twice and the conversation was going and I couldn't interject. Maybe I've been asleep at the wheel, but you've mentioned [00:32:00] twice free energy. How is that possible? Can you explain your thinking there? David Houle: Sure. So the idea is that fr the last 200 years, we've been on fossil fuels. And fossil fuels cost money to extract, it costs money to refine, it costs money to ship, and then it costs money to burn it, right? If you think about sunlight or wind, most of the money [00:32:30] to use that is the financing of building the infrastructure to receive the sunlight or process the wind. So for example, without going into too much detail, if you have solar rays over the 3% of the landmass of the world, every day one hour of sunlight could power humanity for that day. And now that Elon Musk with [00:33:00] Tesla Power and others are creating batteries that store variable energy, that means that every day after that hour that was used, you could store up free energy. So the energy is only the cost in the distribution. So for example, a house could have a zero energy cost, or a neighborhood with a solar panel ray could have zero energy costs. As opposed to constant costs of fossil fuels, because sunlight is free, right? [00:33:30] It's the distribution of getting it from the source that's absorbing the sun to the user, which leads to distributed energy rather than the grid model, which is why all the utilities are gonna turn upside down. I wrote a column about a year ago. I said that 2015 to 2017 will be looked back on as the beginning of the end of the fossil fuel era. Now that will take 30 years to get out of it, but think about 2025; [00:34:00] and if I'm right, and I'm pretty sure that I am, then talking heads at CNBC are gonna say things to like Mr. Shell or Mr. Exxon Mobile, so now you're a short term investment. The only way we'll invest in you is if you take your profits and invest in the only energy source that's going to double digit, which is alternative renewable. It goes back to the history that what would have happened if the railroad companies didn't think they were in the railroad business, but they were in the transportation business? Then they would've [00:34:30] gotten into the airlines, right? So it is gonna become free. You might have to spend 20,000 dollars Gail to make your house completely energy independent, so it's that one time cost but then forever after it's free. David Houle: And Solar City, which Musk now owns, does the thing we'll install it for free and you have to pay the energy through time and it stays with the house when [00:35:00] you sell the house, they've got reduced energy that they're paying for. They've already got it installed. So free is in quotes, nothing is completely free, but relative to the high cost ... Sunlight's not gonna go up to 3.95 a gallon, right? Gail Davis: That I hope doesn't change. David I'm holding in my hand a book that you gave me back in 2013, Entering the Shift Age, [00:35:30] and one of the things I love about this book and I remember seeing you present about it was how you describe the four ages of humanity. And you talk about how tools define the agricultural age, and then machines defined the industrial age, technology defined the information age, and consciousness will define the shift age, which we've been talking about a lot today. Is there a new age that's coming or is that it for now? What do you think? David Houle: Well [00:36:00] you know it's really three things to say. First, thank you for reading that quote and looking back at the book. I've quoted that recently, ironically over the last couple of months when I'm talking about the next 20 years because when I first met you, people didn't really realize that we'd left the information age. And I said that the shift age started about 2005, 2006 and we're drawn for 25 to 30 years. In other words, the first third of the 21st century would be [00:36:30] the shift age, when everything shifts from the way it had been historically up to that point, to the way it would be. And so this next 20 years, to me, is the fulfillment of the shift age. So the last 10 years has been the beginning of it; the connectivity with cell phones, the lowering in price of energy, the awareness of climate change, all the things going on geopolitically around the world are profoundly different than they were ten years ago; and these next 20 [00:37:00] years will be the fulfillment. So yes, there will be an age after the shift age. I think, if I am right, that it will be much more of a consciousness related age. And the reason I said consciousness when I wrote that back in 2007, that quote from the first book the Shift Age, I was thinking of consciousness because I knew we'd get all connected. There's more people that have cell phones than indoor plumbing or indoor electricity. 6.2 billion people have cell phones. So that creates [00:37:30] a spacial consciousness. So Kyle when you were growing up, you had a different consciousness of connectivity than I did. Right? And so that creates a different spacial consciousness; but now looking at climate change, when you think back to a common enemy, every living thing on the planet only has one common enemy and that's how man chooses to live on the planet, humanity as a species. [inaudible 00:37:57] enemy to [00:38:00] allow for a global consciousness to occur, which is a planetary consciousness. Kyle Davis: Yeah I think you see these movies like Independence Day where the whole world unites because alien overlords are flying over the planet and now the president has to fly a plane into whatever and blow it up. That's not gonna be kind of what it is. I just recorded a podcast the other day where I talked to a retired, four star general who's like, "The department of defense is looking at climate change as the biggest issue." Because [00:38:30] it's gonna be a death by 1,000 cuts. You know, 70% of the world lives in [inaudible 00:38:33] low lying areas. So you look at the entire state of Florida. Where are those people going to go from Miami? Are they gonna go to Mobile? No, because Mobile's gonna be gone. Are they gonna go to Birmingham, Alabama? Is that where everybody from Miami is gonna go? What about everybody along the coast of India, Sri Lanka, low lying areas of Thailand, Vietnam, China, all the way up to North Korea. Where are people gonna go? They have to go somewhere. Now you're looking at a refugee crisis far larger than anything in Syria. David Houle: [00:39:00] Right. We quoted in This Spaceship Earth, both the defense department and the world economic form and [inaudible 00:39:09]. And the defense department basically said that climate change is the single greatest, existential threat to the United States of America that they can see other than armed conflict and nuclear war. And what the world economic form in [inaudible 00:39:25] every January, which is where all the central bankers go, and where heads of states go and all the [00:39:30] major, multinational CEO's of banks go. Every year they put out the five most likely threats to the global economy and in 2016 all five were related to climate change. This year, three of the five were related to climate change. So as I say to audiences, this is not just a green movement. These are the central bankers of the world. This is the US military saying that this is real. Kyle Davis: I [00:40:00] was just trying to say on that, I mean you can draw trend lines to Somali pirates, with regards to environmental change. You can say the terrorism that's happening in Jordan has to do with the water shortage. There's a number of different things just with terrorism, because that's something that I studied a lot in, is that you can relate it all back to climate change. Not even just shifts in their cultures or [inaudible 00:40:21] shifts, it's just shifts in lack of resources due to climate change. Gail Davis: This might be way too big of a topic, but I'm curious. [00:40:30] Who are the people behind this notion that climate change is a hoax? David Houle: I have a quote, I'll try to find it in this book. But it's basically from Upton Sinclair. I'll paraphrase it. It's really hard to persuade a man to think differently when his pay check is based on him not thinking differently. David Houle: In other words, I have invested interest in the fossil fuel industry, [00:41:00] or I believe as a right wing conservative I should be against it. My experience ... And one of the great things about what I do and you enable me to do, which is stand in front of audiences. It's really great market research; you really learn how the world is moving. Back in 2012, I would say maybe 5 or 10% if I talked about climate change would stand up and say they didn't believe in it. Now, and I've been speaking for free down here a whole lot, on part of [00:41:30] the non-profit down in Sarasota just to let everybody know that we're the global non-profit and we're getting great support. Or when I've been paid to speak on it, there is very few people if any that say it any longer. So it's clear to me in the last five years ... It snows in April, must be climate change. It's 70 degrees in Chicago in February, it must be climate change. So I don't know who these people are, other than the president of the United States and some [00:42:00] people around him, you know? It's really weird. All the measurements, all the statistics show that it's less than 6 to 7% believe that it's a hoax. And the reality of that ... When I make a presentation, the problem is CO2 is invisible. So you can't see it. So when I make a presentation on This Spaceship Earth, I convert invisible CO2 into four ton African elephants. So the amount of CO2 that humanity [00:42:30] is putting up into the air last year is the equivalent of 300 four ton elephants going shot out of canons every second for an entire year. So then I show a picture of a city, be it Paris or London, with lots of four ton elephants hanging in the air. So I say now if you went away for a week and you came back and there were three four ton elephants over your neighborhood, wouldn't you think you have a problem? But because it's invisible, you [00:43:00] can't see it. And because the sea level rise only goes up a quarter inch a year, you can't see it. But next year it's a half an inch, and then an inch, and then two inches, right? So there's this great documentary that was on the Discovery Channel called racing extinction and I lifted two and a half minutes and I show it at every presentation, that has a CO2 filter so you can see what the CO2 looks like. And as the guy says, the human eye is very limited. It's [00:43:30] like if I had a grand piano at home and I could only play one note. So we see a very narrow visual frame. We can't see CO2. So really, if you see a problem, you see it's a problem. If you don't see it, you don't think it. And most people, as McLuhan said, "Drive down the freeway of life looking in the rear view mirror." The reality is based on everything they've known up to that point. And that's the value I add as a futurist is to try to get them to face the future. [00:44:00] I find that my value as a futurist is to one, show people what will be happening; open their minds to think about it perhaps for the first time. And second of all, to provide them context and conceptual framework to place the change that is so upsetting to them. Right? And it's the same thing with climate change. I have [00:44:30] found that people under 30 get it and people over 70 get it, because people over 70 have grandchildren. And so they have a personal stake in what would it be like if my grandchildren never sees a beach? What would it be like if my grandchildren can only see pictures of giraffes because they're all gone? So once you make a big thing personal, and that's what I try to do when I speak, it immediately has [00:45:00] an impact because things like artificial intelligence and climate change to so many people were caught up in their lives of struggling to pay their mortgage, or do whatever. It's abstract. So once you make it real and personal, then it is real. Kyle Davis: Yeah I mean I think the only place that you can ... I know you can't see CO2 or carbon emissions or anything else like that, but hey, everybody feel free to fly into Beijing and take in that beautiful, fresh air whenever you want. Kyle Davis: That was all sarcasm, by the way. I want to say one thing really that's important that I want anybody listening to this to know, Gail because of what you do for me and I greatly appreciate it. People always say that I'm really enthusiastic and I'm really excited about what I talk about; and relative to artificial intelligence and all the issues, it's the connection to stand on the stage as I did last [00:47:00] week on Monday in Newport Beach to about 125 people and the next day in Vegas for like 250 people. To really energize the room and have a wrapped audience that is hearing something for the first time and processing it. You know, it's so exciting. And that's why I really like what I do, because I feel that it is my purpose and it's my opportunity and it's my gift to try and catalyze people to think about the future that is going to be [00:47:30] their future. And so we spent a lot about negative stuff, but the positive opportunity for futurists is so great. I love it. I'm not talking about what happened, or a metaphor about climbing a mountain and leadership or team building. I'm talking about what's gonna happen to you and your kids. And that's where people come up to me and they say, "I'm gonna change the way I parent. I'm gonna change the way I do things." And that's the greatest ... So I really appreciate [00:48:00] what you do for me to allow me to do that. Gail Davis: Well I appreciate you and I feel so fortunate to work in an industry that brings ideas to people and ignites passion and it's been my pleasure to talk to you today, because you know it is very easy to hear about climate change and read about climate change, but think about it as somebody else's problem. And I think today you've really reignited my awareness and I think [00:48:30] that's what it's all about. And we're lucky that we get to get that word out to various people. Kyle Davis: And just in case people are like, "Oh my gosh, so much doom and gloom and bring on the sweet death brought by nuclear war and not climate change," don't worry. We'll have something positive on the iTunes little bonus episode. Kyle Davis: I'm just a real doom and gloom person man. The world is black like my soul. David Houle: No you're not. [00:49:00] No you're not. I know somebody that'll slap you upside the head if you are. Kyle Davis: She just did. Gail Davis: I'm about ready to. David Houle: Well I just wanted to say thank you for giving me this chance. I really do love speaking in front of people. You enable me to do what I love and for that, I'm eternally grateful. Thank you. Gail Davis: You are welcome. Kyle Davis: Thank you. Look if y'all want to book David Houle to come and speak at your event, you can do so by contacting GDA Speakers at 214-420-1999, where we provide you all the best speaker intelligence without using AI. [00:49:30] And you can go to GDASpeakers.com as well. If you'd like to read the transcript or have your robot do that for you, you can do that at GDAPodcast.com where we also have a selection of the seven books that David has written. With that being said, David thank you. Gail Davis: Thank you David. David Houle: Thank you Gail, thank you Kyle. Let me know when this is posted and I will download it, share it, and push it out.